NO. 1 GRANT AVENUE Blending elements of contemporar y modernit y yet timeless design, AnĂ­ko Group brings you No. 1 Grant Avenue, a luxurious collection of 210 apartments. No. 1 Grant Avenue is the long awaited answer to perfectly balanced 21st centur y living. Offering you a carefully considered selection of 1, 2, and 3 bedroom apartments with spectacular water views and lush greener y, No. 1 Grant Avenue redefines prime waterfront apartment living, offering you a peaceful and luxurious haven from the hustle and bustle of the cit y. Inspired by pure enjoyment and defined by sophisticated st yle and gracious amenities, No. 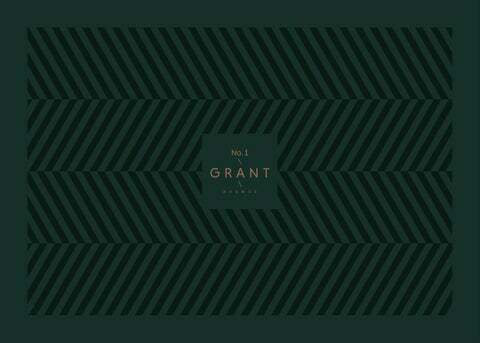 1 Grant Avenue is an invitation to live the life youâ&#x20AC;&#x2122;ve imagined. The privilege of living on the grounds surrounded by the best golf courses in Australia and in one of the last remaining sites in Hope Island makes No. 1 Grant Avenue such a rare residential jewel. Positioned on the Northern Gold Coast, in the serene communit y of Hope Island, No. 1 Grant Avenue offers the coveted balance of tranquillit y and connectivit y. Just 45 minutes to Brisbane, you can drop in and out of the capital with ease. No. 1 Grant Avenue offers the coveted balance of tranquillity and connectivity. Perfectly appointed in a prime central location, No. 1 Grant Avenue features t wo captivating buildings â&#x20AC;&#x201C; 7-storeys and 9-storeys high. It is designed to seamlessly connect with its surroundings with its sweeping floor to ceiling windows, and open, flow through layouts, each residence is filled with natural light and boasts stunning views of picturesque waterfronts, tropical grounds, a cr ystal clear swimming pool, golf courses, and gorgeous Gold Coast sunsets. A feeling of peacefulness and privacy exists at ever y corner. The residences of No. 1 Grant Avenue are inspired by the warm climate, golden light, and unique spirit of the Gold Coast. KITCHEN Dressed in engineered stone with modern tap ware, there is a sense of luxur y in ever y detail. Open plan interiors have been designed to maximise space and light. No. 1 Grant Avenue reflects a desire for the interiors to be in harmony with their surroundings and a consideration of the needs of their inhabitants. Ever y element has been carefully thought of to bring functionalit y and interior st yling that will stand the test of time. Inside each residence, masterfully executed design and a careful selection of rich materials echo the elevated lifest yle of this exclusive address. Elegant designer finishes, ducted air-conditioning, and high-qualit y stainless steel appliances have each been hand-selected for their qualit y and craftsmanship. BEDROOM Warm natural palettes make for a welcoming retreat. With private glass balconies, a personal outdoor space is just steps away. BATHROOM Thoughtfully designed bathrooms feature high qualit y fixtures and fittings, and a modern colour palette. THE ULTIMATE IN MODERN COMFORT Convenient, comfortable, and thoughtfully executed amenities are designed to extend the comfort of your home. Fitness Centre Comfortable, cutting-edge and filled with light, this spacious gym was designed to naturally boost and restore wellness. Pump up your heart rate with a vigorous run, or undo the stress of the day with a yoga session. Whatever your fitness routine, stay fit without having to leave the comfort of home. Children's Indoor Play Room We didn’t forget the smallest members of our communit y. This safe and spacious area for children is a welcome choice for rainy days, birthday functions, or anytime your little ones need a room to romp. Fully visible from the Fitness Centre, parents can mind their children while they work out. Underground Garage Enjoy the freedom from searching for parking and expired parking times. Instead, park conveniently in an underground parking garage on your block. Relax, knowing your car is close by and secure. Residents' Lounge Enjoy the cosy warmth of a fireplace with your favourite read, take a moment for quiet reflection, or entertain friends – all while overlooking the resort-st yle outdoor pool. The Residents’ Lounge offers the perfect setting for intimate gatherings and functions. Hope Island is a development hot spot. Given the suburb’s easy access to the M1 and surrounding commercial and retail developments, the region is becoming increasingly popular with families and young professionals. A $1 billion shopping precinct is part of the northern Gold Coast’s development boom. It is the northern Gold Coast’s biggest shopping complex which features over 100 specialt y stores and restaurants, a bespoke outdoor playzone, and multi-level dining precinct. The Boat Works Marina in Coomera will see a $200 million injection to become Australia’s greatest boat yard and will create the Marina Mirage of the northern side of the cit y, with boutiques, retail, and restaurants. Opened in 2013, the GCUH was a $1.8 billion project with a 750 bed medical facilit y which design allows for expansion to meet the growing health needs of the Gold Coast. The Gold Coast is predicted to double in population by 2050, driving the Gold Coast’s economy for years to come. With excellent transport routes such as the Pacific Motor way within easy reach, local and national amenities are easily accessible. If you prefer the stress-free alternative to driving, the new Gold Coast Light Rail is conveniently located 10 minutes away in Helensvale. Indulge in fashion and the finest shopping with Runaway Bay Shopping Centre, Westfield Coomera, Westfield Helensvale, and Marina Shopping Village Precinct just a short drive away. Sit and enjoy a coffee at nearby boutique cafes, or relax over drinks in Paradise Point. Improve your swing at one of three 18-hole resort st yle golf courses in the area. With the Broadwater only a stone’s throw from No. 1 Grant Avenue, and Main Beach and Surfers Paradise beaches in close proximit y, there are endless opportunities to participate in water activities. Start each morning with a swim in the ocean, or find excitement in water sports. No. 1 Grant Avenue is just moments away from magnificent beaches, vibrant restaurants, cafes and bars, world class universities, hospitals, and shopping centres. Nearby parks offer the perfect outdoor backdrop for cycling, walking, and jogging. Soak up the views from the comfort of your apartment or get closer to nature and explore the beaut y of the Gold Coast Hinterland. Iconic Gold Coast water ways meander through Hope Island, placing No. 1 Grant Avenue just moments away from magnificent beaches, vibrant restaurants, cafes and bars, world class universities, hospitals, and shopping centres. *Times quoted are approximate and provided by Google Maps. Aníko Group was formed by George Mastrocostas in 2017 after running Emandar Group for 10 years. His core vision for this young and energised boutique company is not only to deliver affordable luxur y homes to the masses, but more so, to create strong lifelong communities in Aníko projects around South East Queensland. At Aníko, we feel that being part of a recognised and respected company offers our customers stabilit y and confidence in deliver y, but at the same time our specialist South East Queensland arm is dedicated to creating unique developments suited to the South East Queensland market where attention to detail and a unique service is key. We believe this combination enables us to offer a personalised service to our var ying range of customers, all of whom have different requirements for where they want to call their own. We recognise ever yone is different and seek to reflect this in our diverse development portfolio and create unique buildings where attention to detail is paramount. We recognise that sometimes it is not easy to choose your perfect home or investment, but we aim to provide dedicated customer service throughout the process to help you make that decision. Our aim is that you are delighted and satisfied to choose Aníko Group. We know that buying a home or investment is a significant financial and personal investment. We aim to make the whole process as simple and straightfor ward as possible. 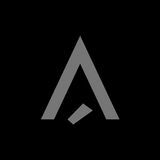 The AnĂ­ko Group customer journey is a set of procedures designed to ensure all customers have the best possible experience, from reserving their home right through to the aftercare, once the purchase is completed. We pride ourselves on providing our customers with a personalised professional service on all aspects of their purchase. We are a customer-focused business with a firm commitment to build homes of the highest qualit y.
Whilst ever y effort has been made to accurately describe the details of any development project referred to in this material, the availabilit y of certain products and materials and other changes in circumstances may result in some deviation to the description. The developer, agent, and vendor accept no responsibilit y for the accuracy of any information contained in this material or for any action taken in reliance thereon by any recipient of the material. Recipients should make their own enquiries to satisfy themselves as to all the aspects of any development or product referred to herein. All models, marketing materials, artistsâ&#x20AC;&#x2122; impressions, and plans in relation to any development are conceptual and illustrative only. All plans, concepts and materials to be used in any development are subject to approval from all relevant authorities. Changes may be made without notice to the whole or any part of the development. This material only contains general information about our products and services. Unless expressly stated other wise, this material does not constitute an offer or inducement to enter into a legally binding contract, form part of the terms and conditions for our products and services, or purport to provide you with personal, financial, or investment advice of any kind.